It happened again. You're in the kitchen washing dishes and look out your window ... and there's "Nosy Neighbor Nancy" (NNN) peering back at you. Sometimes when homes are situated close to each other on small lots, it may feel like the neighbors are living in your house with you. And, since NNN tends to be outside your kitchen window a great deal of the time in her side yard, you're a bit too close for comfort. Our suggestion at Hy-Lite is to block out NNN. 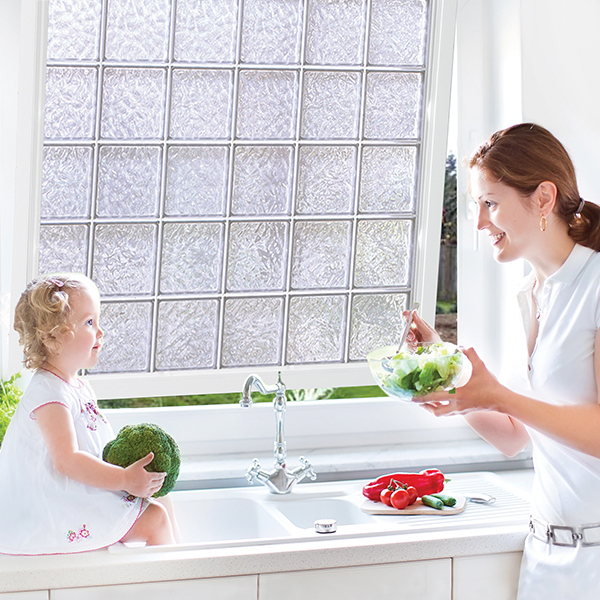 It's easy to replace your kitchen window with an acrylic block privacy window. Designed to fit in pre-existing openings, a Hy-Lite block window provides both light and air into your kitchen, but keeps out NNN. Available in awning and casement styles, the operable windows can easily crank out when you want ventilation, but they protect your privacy. Stylish and lightweight, acrylic block privacy windows are ideal for bathroom situations too. If you have a first floor master bathroom, then you'll want to protect your privacy while in the shower or tub without having to fiddle with curtains, blinds or shades. Always working without any needed action on your part, privacy windows are the solution to nosy neighbors for any room in the home!